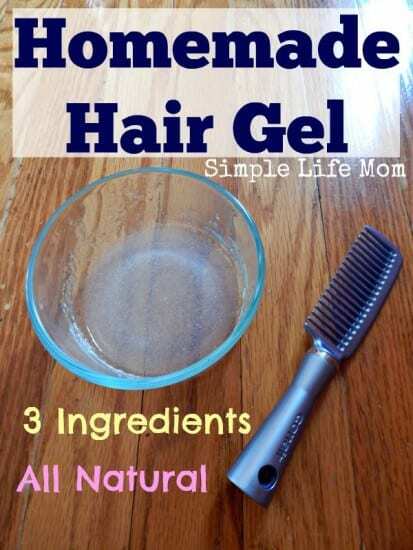 I usually don’t use hair gel, whether it’s a homemade natural hair gel recipe or not. My hair definitely gets out of control on very humid days and my solution is to mist with water from a water bottle, scrunch, and then rub a little oil on my hands and scrunch in to the ends of my hair. Viola! Beautiful, tame curls! There is GOOD REASON to make your own! Check out some common ingredients in most gels: Propylene Glycol, Fragrance, Polysorbate-20, Isosteareth-20, Tetrasodium Edta, Dmdm Hydantoin (Formaldehyde releaser – big no no), Benzophenone-4, and artificial coloring. There are homemade natural hair gel recipes all over the web using either unflavored gelatin or flaxseed as a thickener. This placed in the hair and allowed to dry should work, right? Well, I’m here to be your guinea pig. This first time I made this gel it sat in the fridge and didn’t thicken whatsoever. So I tried again with a little more gelatin. It then became a wonderful gel consistency; not hard like jello, but not like water either. So far so good. Next, was the testing. I tried it in my hair first. It actually worked as any store bought gel has ever worked in my hair. I held my curls nicely. I added a bit more to one area and it became really stiff and maintained a wet look to it. Since this is what store bought gel will do as well, I counted it as a success. I did have to pick a few white pieces out of my hair of hardened gelatin, but only 2-3. So again, that effort seemed well worth it. Lastly, I tried it on my son’s hair. It spiked wonderfully and held great. Again, I noticed a few white specks that I had to pick out, but that was really easy to watch for and do. All in all, super impressed!! This is what I’m going to MAKE and USE when it comes to boys wanting to spike their hair or girls needing to hold back fly away hairs for up-dos. So easy to make and works well. There honestly is no reason why I will ever use harsh, man-made chemicals again. Gelatin: I use unflavored gelatin. You can find pasture raised beef gelatin by clicking here or if you don’t care about that you can go to the jello isle in your supermarket and find unflavored gelatin (sometimes it’s in a different area like by the pie making ingredients). You can also use a vegan gelatin type powder like Maca, though it is more expensive. Essential Oils: Check out Starwest Botanicals. They’ve an affiliate and have been around for over 40 years and are well respected with great products that I use often. 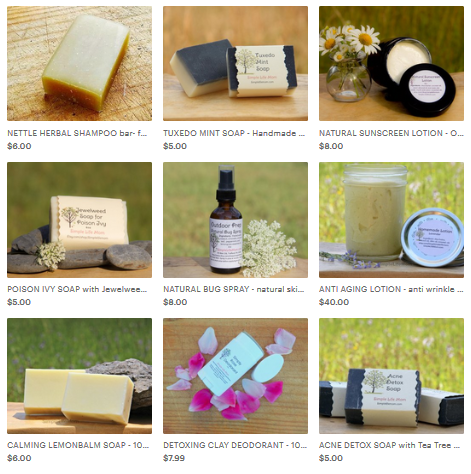 A natural alternative to store bought, chemical filled hair gels. Stir until dissolved and allow to set in the refrigerator. Keep in a closed container until ready to use. Shared on some of these great blogs. Let your friends know that there is a great NATURAL alternative for Hair Gel! Love this!! Do you need to keep it refrigerated? What is the “shelf life?” Can’t wait to try!! I kept mine refrigerated. It should keep much longer that way. Bacteria will grow on gelatin in less than a week if you touch it with your hands and let it sit out – we’ve done science experiments on it ;-). Use a spoon to scoop it out of the container and then into your hands to minimize bacteria contact. 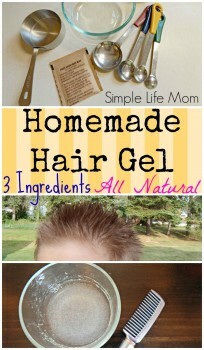 I just hopped by from your blog hop to check out your DIY hair gel. This is a much cheaper and safer product than the chemical filled commercial hair gels! Great solution. I’m pinning! Once, many, many year ago in my mis-spent youth, I used gelatin to give myself a zebra mane (mohawk), this “”do”” lasted for several hair washings, at the time it was SO not a good thing, but now a style gel that would hold for a couple of days, or when I go camping, would be kind a nice. Maybe by increasing the gelatin amount? My son and I both used this and it washed right out (and he’s not the best scrubber in the world). 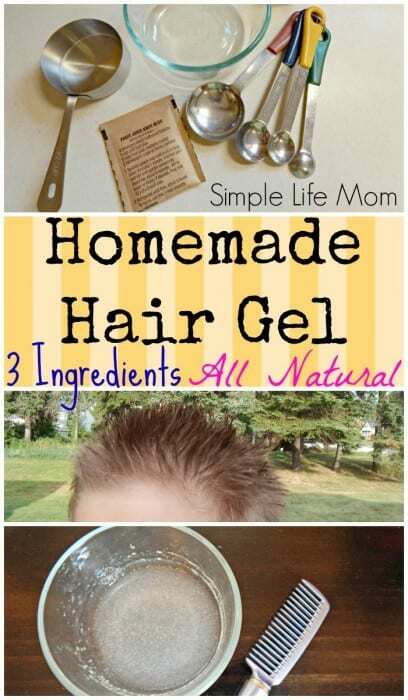 This is a great DIY alternative for chemical hair gel which i am going to try. Thanks so much for sharing it – I am always looking for ways to try to style my hair naturally. I have MCS and even the natural products in health food stores seem to make me react, but this might work for me. Pinned & twitted. Thank you so much Marla. I hope it works great for you. I completely agree. It’s so easy and quick to make, it’s definitely worth it compared to putting a bunch of crazy chemicals in my or my child’s hair. Great idea! Glad it worked for you! If I were to sub maca powder for the gelatin, would I use the same amount? I’m not sure about the maca, sorry. I know you can substitute agar (1:1 gelatin, agar ratio) as a vegan sub. Thanks! I purchased some agar yesterday and will try that! 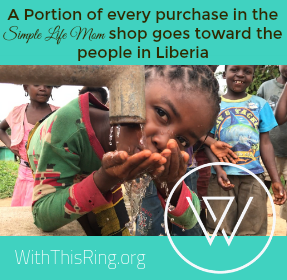 Thanks for your great blog!! I love reading it! Do you know how I could naturally conserve this gel, so it lasts longer? The best way to make sure it stays fresh is to add one drop of clove essential oil and keep it in the fridge. Also, use a spoon instead of your fingers to get a little out at a time. Will essential oils fade the coloring in my hair? I’ve never heard of them doing so. You should be only adding a drop or two for scent so it shouldn’t be enough to change anything.